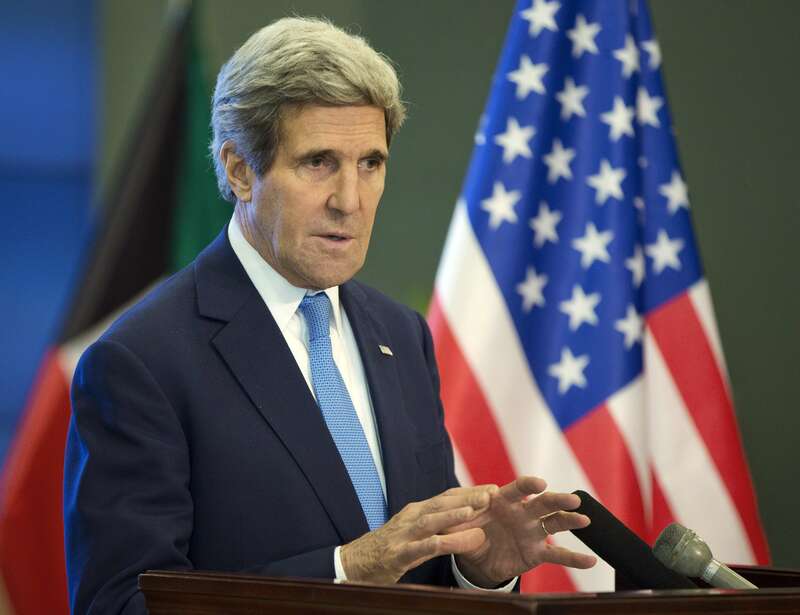 US secretary of state John Kerry issued a statement on Saturday in which he expressed his deep concern over the human rights situation in Egypt in recent months, to which Foreign Minister Sameh Shoukry responded that it is an internal issue. Kerry’s comments come following reports about a new wave of prosecution against NGO workers in Egypt. 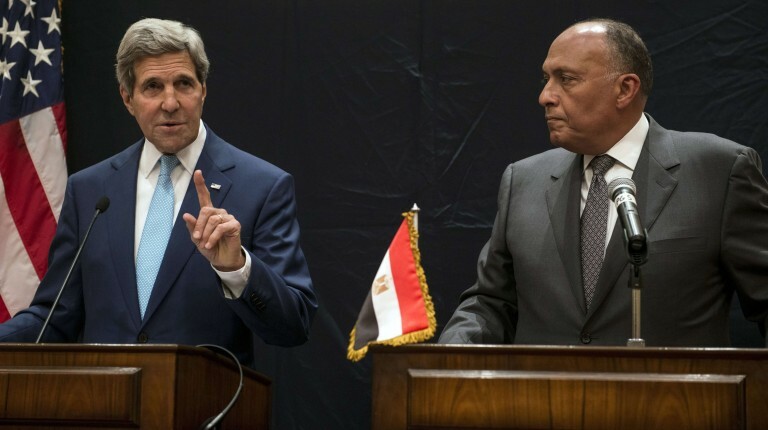 Shoukry responded to Kerry’s statement saying, “only the Egyptian people” are entitled to assess the human rights situation in the country, insisting that it is an internal issue. Speaking in a press conference with his Slovakian counterpart Miroslav Lajčák, the minister said that more than 40,000 NGOs operate in Egypt and that the government is committed to enabling their work. Shoukry explained the government’s stance on foreign funding to NGOs, saying that the funds allocated to these organisations that are paid by tax-payers in funding countries should be directed in “the right direction, not to the benefit of people whose practices could harm their countries”. The Cairo Criminal Court on Saturday looked into the request made by the investigative judge in the case 173/2011, publicly known as the “foreign-funded NGOs” case, against human rights defenders Hossam Bahgat and Gamal Eid, in addition to the latter’s wife and daughter, to freeze their assets. The court adjourned its ruling on the request to 24 March. However, the measures taken to reopen investigations in the aforementioned case raises fear in the human rights community in Egypt of a future potential crackdown. “These steps run contrary to the universal principle of freedom of association and to the government of Egypt’s commitments to support the role of civil society in governance and development,” Kerry said in his statement. The case dates back to December 2011, when prosecutors, backed by the police, stormed the offices of 17 local and international NGOs, including the International Republican Institute, the National Democratic Institute, and Freedom House, as part of a probe into the NGO’s allegedly illegal foreign funding. Forty-three NGO workers were put to trial, including 32 foreigners, and were convicted of unlicensed work and receiving illegal foreign funds. Twenty seven defendants, all foreigners, were sentenced to five years imprisonment in absentia, while another five foreigners received two-year sentences and 11 Egyptians received a one-year suspended sentence and an EGP 1,000 fine. 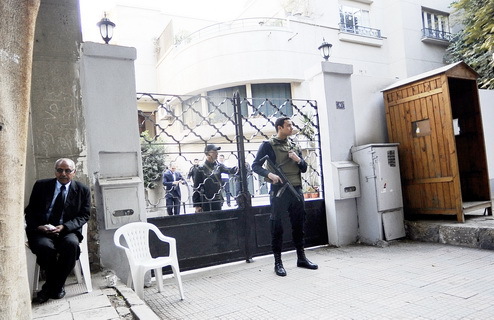 Media reports on Wednesday suggested the case has been reopened for investigation, a move that was followed by interrogations of a number of NGO workers, namely the Cairo Institute for Human Rights Studies and the United Group law firm. Kerry said restrictions on the space for civil society activity will produce “neither stability nor security”, urging the Egyptian government to work with civic groups to ease restrictions on NGOs and expression and to take action to allow these and other human rights NGOs to operate freely. He also said the decision to reopen investigations in the case comes against a “wider backdrop of arrests and intimidation of political opposition, journalists, civil society activists, and cultural figures”.